Andrew G. Slutkin is an experienced trial lawyer who concentrates his practice in complex civil litigation primarily representing plaintiffs in catastrophic injury matters, such as medical malpractice cases, wrongful death cases, product liability cases and cases involving major collisions. He also handles a select number of business litigation matters. Mr. Slutkin annually obtains multi-million-dollar settlements and/or verdicts for his clients. In fact, he has been trial counsel in some of the largest multi-million-dollar verdicts and settlements in the mid-Atlantic region. Click here to see a sample of newspaper headlines from his cases. Click here to see a sample of settlements. Mr. Slutkin has been an adjunct professor at the University of Baltimore School of law since 2002, where he has taught Litigation Process and currently teaches Medical Malpractice Litigation. He also is a former faculty member of the Maryland Trial Advocacy Institute, where he demonstrated and taught trial advocacy to Maryland attorneys. He also has taught seminars for the Maryland Institute of Continuing Professional Education of Lawyers, and his court filings have been published by West as forms for other lawyers to use. At the invitation of leading hospitals in Maryland, he has spoken to groups of physicians on the subject medical malpractice litigation, and how to avoid it. Mr. Slutkin also is the former Chairman of the Board of Directors of The League for People with Disabilities. Mr. Slutkin has been given an AV® Preeminent™ 5 out of 5 rating by the Martindale Hubbell Lawyers Directory. This is the highest rating for lawyers, signifying “very high to pre-eminent legal ability and very high ethical standards as established by confidential opinions from members of the Bar.” As a result of this rating, American Lawyer Media and Martindale Hubbell chose Mr. Slutkin as a "Top Rated Lawyer in Personal Injury Law" in 2013 and a "Top Rated Lawyer in Medical Malpractice Law" in 2014. In a survey of Maryland attorneys, Mr. Slutkin has been chosen as one of Maryland’s “Super Lawyers,” first in 2007 (the initial year of the survey), and then 2008, 2009, 2010, 2011, 2012, 2013, 2014, 2015, 2016, 2017, 2018 and 2019. 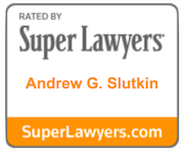 In various years of the Super Lawyers survey of his peers, Mr. Slutkin has had the honor of being voted one of the top 10 lawyers in the entire state of Maryland and one of the top 50 lawyers in Maryland. He also has a 10 out of 10 rating ("Superb") on Avvo.com, which annually rates attorneys. Mr. Slutkin also has been included in the publication "Best Lawyers" in 2012, 2013, 2014, 2015, 2016, 2017, 2018 and 2019. 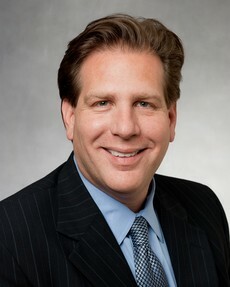 In 2012 his peers voted him Baltimore's "Lawyer of The Year" for his representation of victims of medical malpractice. This is a special honor as only a single lawyer in each practice area and geographic area is honored as the "Lawyer of the Year." Lawyers honored as "Lawyer of the Year" are chosen based upon particularly impressive voting averages received during a peer-review assessment with thousands of leading lawyers each year. According to Best Lawyers, the designation "Lawyer of the Year" reflects a high level of respect a lawyer has earned among other leading lawyers in the same community and practice area for ability, professionalism and integrity. Since 2011, Mr. Slutkin has been a member of the Peer Review Committee of the Attorney Grievance Commission of Maryland, which evaluates the ethical conduct of attorneys charged with misconduct, for which he repeatedly has served as Chairman of various peer reviews.